American Skin Association is proud to bestow its 2007 Humanitarian Award on Dr. Douglas Lowy, Laboratory Chief and Principal Investigator at the National Cancer Institute's Laboratory of Cellular Oncology. 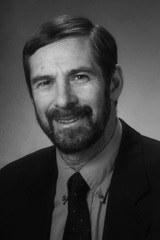 He also serves as Deputy Director of the Institute's Division of Basic Sciences and Center for Cancer Research. Most recently, his research has focused on the life cycle of the papillomavirus (HPV) and the development of papillomavirus vaccines. Dr. Lowy is a recipient of the Wallace Rowe Award for Virus Research, and is also listed by the Institute of Scientific Information as one of the most highly cited authors on microbiology. He has served on numerous scientific advisory boards, grants committees and editorial boards. He received his M.D. from New York University School of Medicine in 1968. Between 1970 and 1973, he was a Research Associate in National Institute of Allergy and Infectious Diseases' Laboratory of Viral Diseases. He trained in Internal Medicine at Stanford University and Dermatology at Yale University. He started his laboratory at the National Cancer Institute in 1975 and became Chief of Cellular Oncology in 1983.